This is the beginning of a story I’ve been working on for many months and is somewhat out of the ordinary to say the least. The Gooney Bird that you see here performed spraying duties in Florida (with her sister ships) for many years and was delivered to the Ottawa, Kansas, airport some months ago. 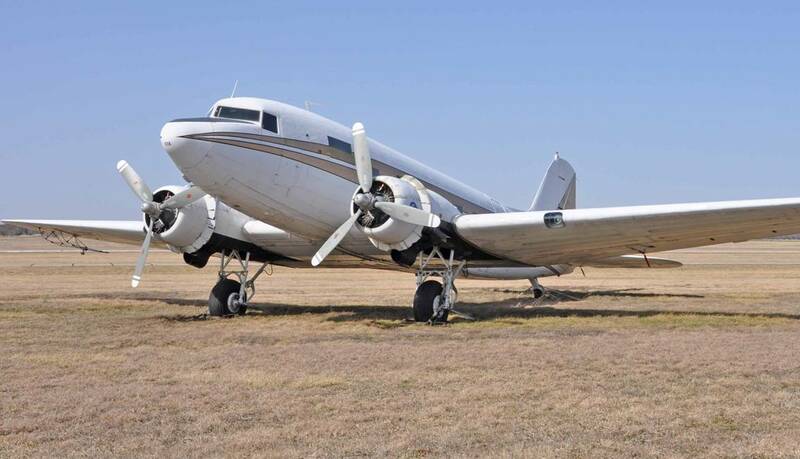 It had been purchased by an energetic, prominent local businessman/aviation devotee, Mr. Danny O’Neil. 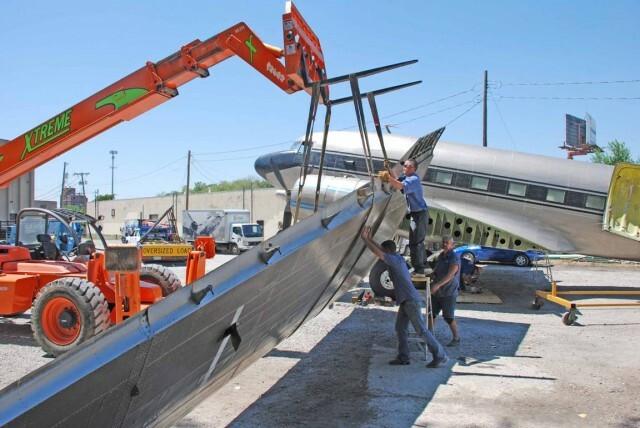 N838M was taken apart according to plan, modifications performed for its new mission, safety issues resolved, painted, and then trucked in large pieces to it’s new home in downtown Kansas City. 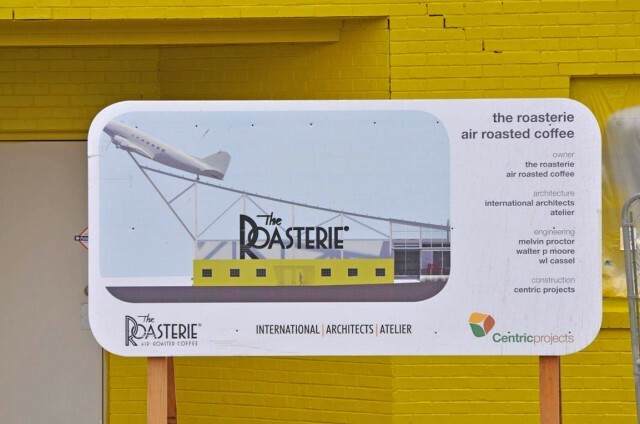 http://www.theroasterie.com/ it will then be lifted by a two-hundred-ten ton crane and placed permanently atop a roof-top runway. The soon to be completed rooftop runway is visible for some distance. That’s Southwest Blvd at the end of 27th St. on the left of the photo. from nearby I-35 and the entire neighborhood and will vie for prominence with the other KC landmarks. I’ve been working on this one for some time and thought I’d share? Placing the bird atop it’s new mooring will be attempted on an absolute ZERO WIND day in about two weeks? I’m going to be able to do some shooting from the roof for the event and it shud be exciting? 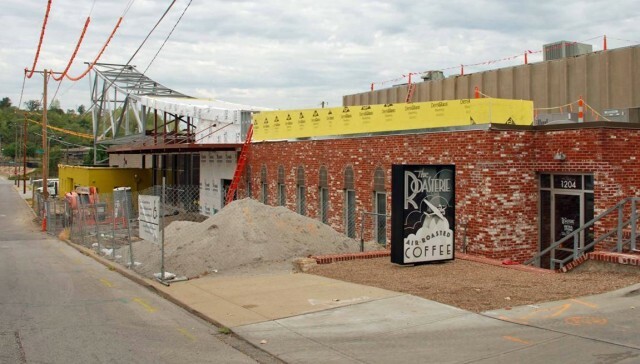 This looks like a disaster in the making to me, especialy in Kansas. What is going to happen when a gust front hits it and it does what it’s designed to do, which is to fly? It won’t be pretty and is a bad way to wipe out an otherwise beautiful airplane. I must say I have the same concern.